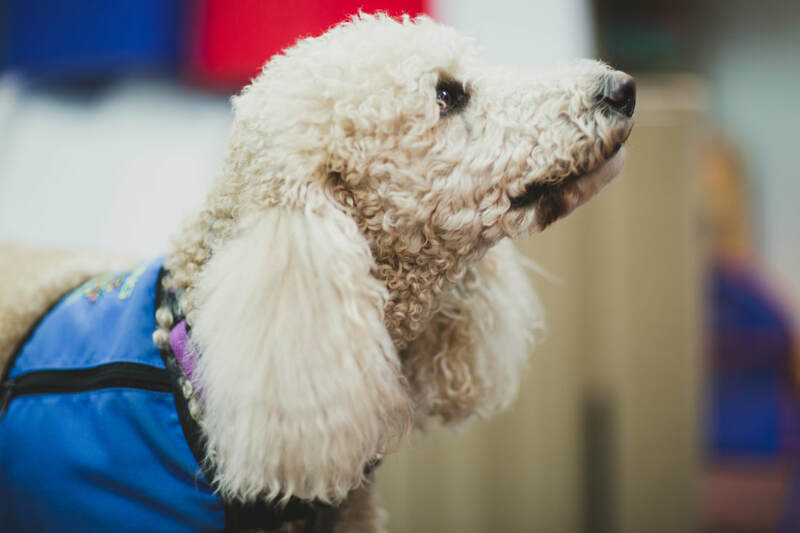 PLEASE help us keep Cooper as our Therapy Dog! The Lee Ann Britain Infant Development Center provides outpatient therapies including physical, occupational, speech-language, ABA, music, aquatic, and feeding plus special education, and parent training and support for children with a variety of special needs birth through age six. Our therapy center serves 250-300 children every year and over 6000 children during our 46 year history. Our great wish is to fund our own therapy dog to allow us to train him to match our specific population and needs. 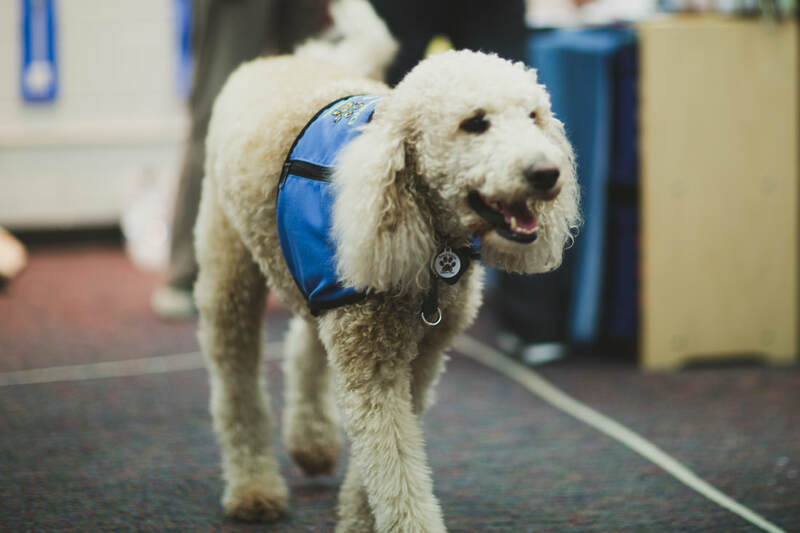 Our partnership with Paws 4 Autism has allowed us to get to know Cooper through the “service dog in training program”. 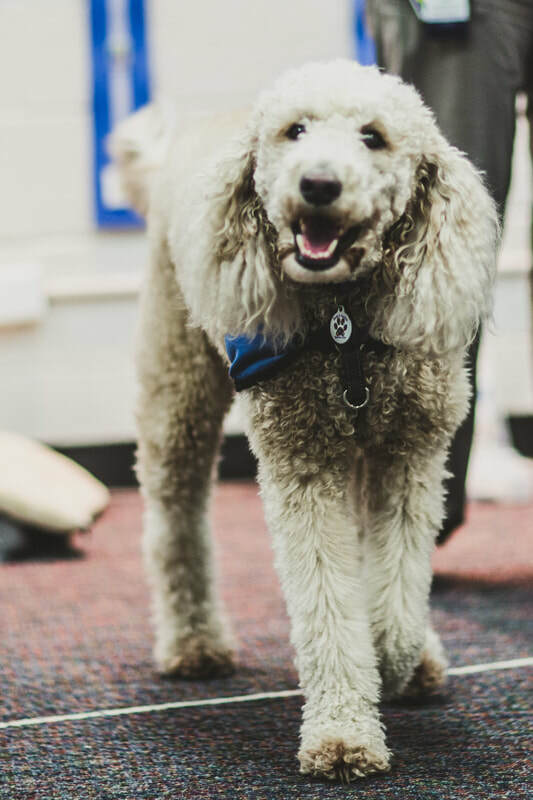 Cooper would be an amazing addition to our team as a therapy dog for all of the children that we serve. 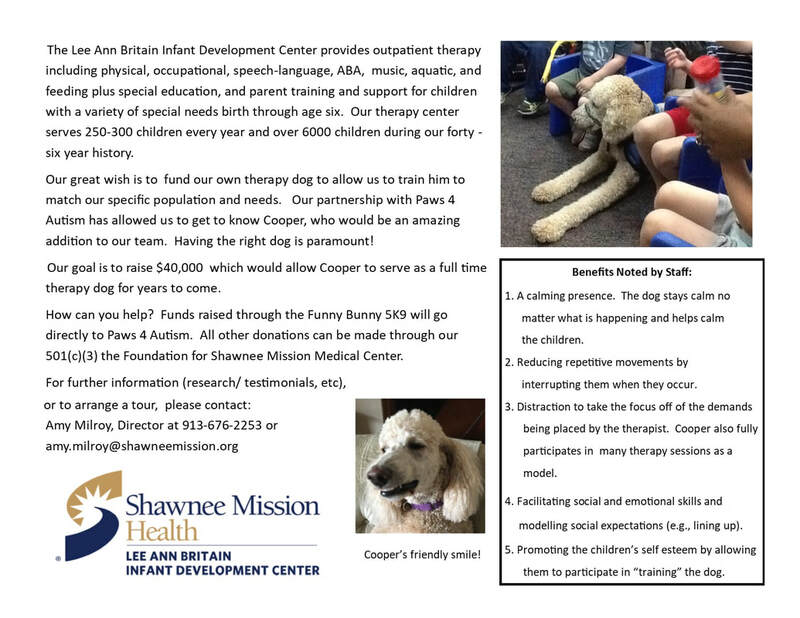 Our goal is to raise $18,000 which would allow Cooper to serve as a full time therapy dog for many years to come at the Lee Ann Britain Infant Development Center. For further information or to arrange a tour, please contact: Amy Milroy, Director at 913-676-2253 or amy.milroy@shawneemission.org. 1. A calming presence. The dog stays calm no matter what is happening and helps calm the children. 2. Reducing repetitive movements by interrupting them when they occur. 3. Distraction to take the focus off of the demands being placed by the therapist. Cooper also fully participates in many therapy sessions as a model. 4. Facilitating social and emotional skills and modelling social expectations (e.g., lining up). 5. Promoting the children’s self esteem by allowing them to participate in “training” the dog.